At its best, eating can be a kind of adventure—a chance to put your comfort level on the line and experience something that will either have you running for the safety of the nearest ham sandwich, or that can turn your life just a little upside down. That’s something I first discovered many decades ago, when as a kid my mom added a bit of tarragon and red wine vinegar to my poached eggs (still one of my favorite combos), and later when I traveled to France as a sixteen year-old high school student and was introduced to escargots. Still, this past Sunday I was reminded of the unexpected twists and turns a seemingly simple meal can hold, when the promise of a lobster roll and something described to me as “fried tuna nuggets” found us pulling out of our driveway in East Hampton for the short ride to Montauk. It bears mentioning that we were hungry—increasingly so as we neared our destination (I was particularly fixated on those tuna nuggets . . . still am, in fact)—so this was not one of those occasions when we were heading off to eat just because it was a little cloudy and we couldn’t think of anything better to do. That’s important because it puts a certain context around what followed, which is that we got about halfway to our destination (Amagansett, to be exact), when the day took an unexpected turn. The reason for this change? The sighting of Animal Rescue Fund’s (aka ARF) new van—an air-conditioned motor home used to drive various of their cats and dogs around to different locations, and an opportunity for those people who might not be sufficiently motivated to travel to the organization’s headquarters (arrow directed at self here) to be introduced to some of the animals in need of homes. Okay, more context: for the past several months Alfredo and I have been discussing the possibility of getting another dog—an addition to our family we’ve gone back and forth about how to best make a reality. Option one was to go with the breeder in Sag Harbor where we purchased our current four year-old lab, Sid, as well as our first two dogs (extraordinary animals all, it must be said). And option two was to go with a rescue—an appealing scenario both because we know how many great pets there are out there just desperate for homes, and because some of our favorite dogs have been rescues. Still, we’re crazy in love with our boy, Sid, just as we’ve been with Lulu and Stanley who came before him, and so we decided to go our usual, time-tested route. But several weeks ago when we went to visit the litter (adorable, needless to say) we were introduced to the puppys’ father—an arresting specimen that weighed in at a whopping 115 lbs. Let me repeat that: 115 lbs! People, for those of you who do not live with animals, that’s a lot of dog under the most forgiving of circumstances. In a New York City apartment, however, it’s downright intimidating. And so we backed out of our commitment, figuring that the moment just wasn’t right to increase our numbers. Which is pretty much where we’d left things when we passed that ARF van on Sunday. So while a new dog had been on our collective brain, it was a little surprising that given our destination (food! ), our mood (hungry! ), and the fact that we’d tabled the puppy idea for the moment, when our friend Dennis asked if we should turn around and have a look inside the van we’d just passed, the answer from both Alfredo and me was an immediate and unanimous yes! And so we did, and among the eight or so dogs held in the van’s tiny cages was a 2 year old lab mix puppy by the name of Foxy (now changed to Lily), who’d been brought north from a kill center in North Carolina. She was sweet and mellow and a little sad, and when we introduced her to Sid in ARF’s gated dog run an hour or so later they got along great. By that point, of course, the idea of leaving her behind was out-of-the-question, so we impulsively decided to bring her home with us—in other words, no tuna nuggets, but a delicious (if funky smelling) new addition to the family instead. Ironically, it was the same day we’d been scheduled to pick up that new puppy from the breeder. And so I set to work, slicing the peaches into wedges, then dividing them into two groups. The first (24 to be precise) was to be used for the cake’s topping, and these I tossed with some of the schnapps, the sugar, and the lemon juice, and set aside (despite the promising fragrance of my 2 1/2 pounds of peaches, a taste-test revealed they were noticeably short on that peak-of-summer flavor I was looking for, thus the schnapps was called into play). And the remaining wedges (sliced in half) I baked as described above for later use as the cake’s center layer. As for the cake’s all-important batter, I whisked the eggs with the various types of sugars (brown and granulated), then slowly added a stick of melted (and cooled) butter, before introducing the sour cream, the vanilla, and the almond extract. These last three additions are important ones, as the sour cream gives the crumb a tight, almost flan-like quality that also injects the cake with a subtle tanginess, while the extracts (especially the almond) imbue each mouthful with a hint of perfumed complexity. Happily, there is nothing complex about the cake’s assembly—a process that involves pouring half of the batter into a 9-inch springform pan (sprayed liberally with vegetable spray), then smoothing it with an offset spatula. 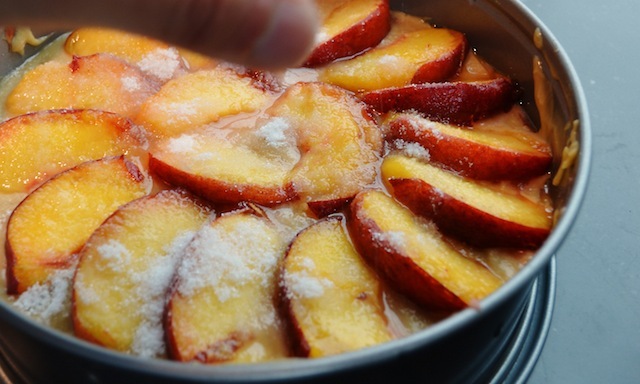 Next comes the previously baked and breadcrumb-coated peach chunks, which are spread across (and gently pressed into) the surface of the batter, followed by the remainder of the batter still held within your mixing bowl. 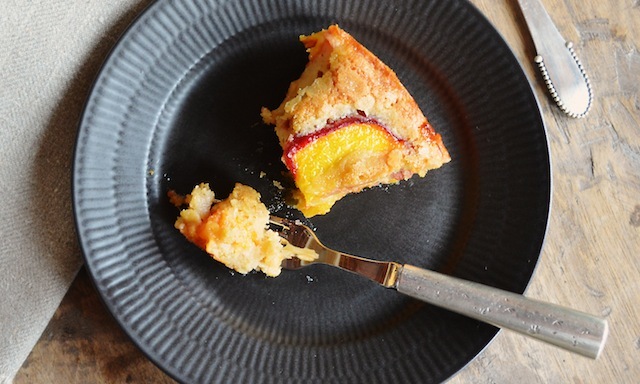 And on top of all this are layered those 24 peach slices, arranged in a fan-like pattern across the surface of the cake (use a few of the smaller slices to fill in the center), which are then sprinkled with 3 tablespoons of sugar moistened with a little more of that almond extract. Probably the biggest challenge is allowing the cake the 2 to 3 hours it needs to cool completely after emerging from its 60 minutes in the oven—something you’ll be hard-pressed to do when you smell the fruity/almond-y fragrance filling your kitchen, or when you catch sight of the glorious, sunrise colored palette of the cake itself. For the record, I jumped the gun with the example you see at the top of the page (which explains its less than picture-perfect shape), so if you care about such things, lock the kitchen door and don’t come back until the timer dings. Either way, however, you can expect something special at the end of your fork: the ultimate taste of summer. —Adjust oven rack to middle position and heat oven to 425 degrees. Line rimmed baking sheet with aluminum foil and spray with vegetable oil spray. 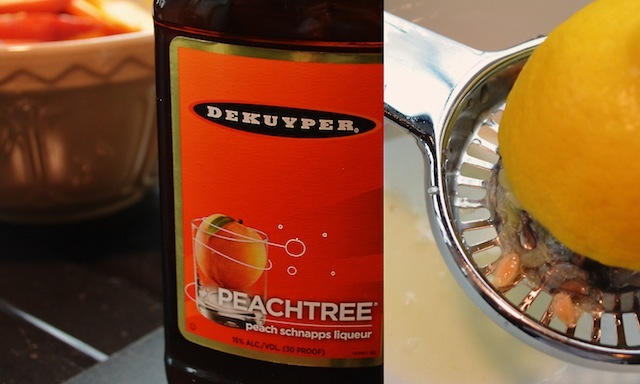 Gently toss 24 peach wedges with 2 tablespoons schnapps, 2 teaspoons lemon juice, and 1 tablespoon granulated sugar in bowl; set aside. 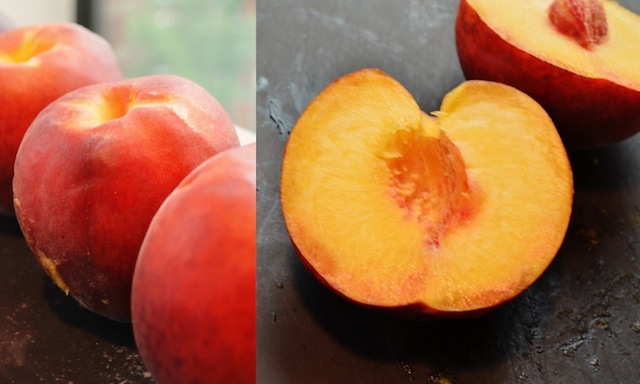 —Cut remaining peach wedges crosswise into thirds. Gently toss chunks with remaining 3 tablespoons schnapps, remaining 2 teaspoons lemon juice, and 2 tablespoons granulated sugar in bowl. 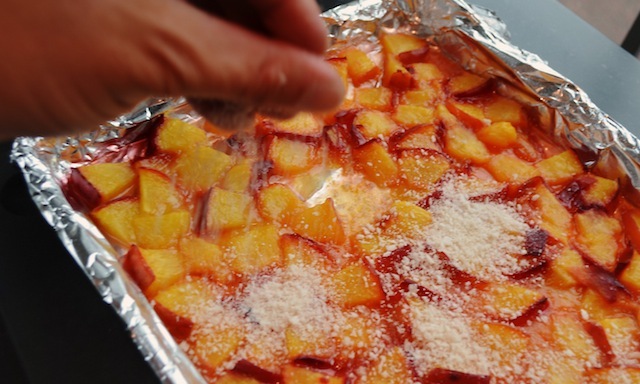 Spread peach chunks in single layer on prepared sheet and bake until exuded juices begin to thicken and caramelize at edges of sheet, 20 to 25 minutes. 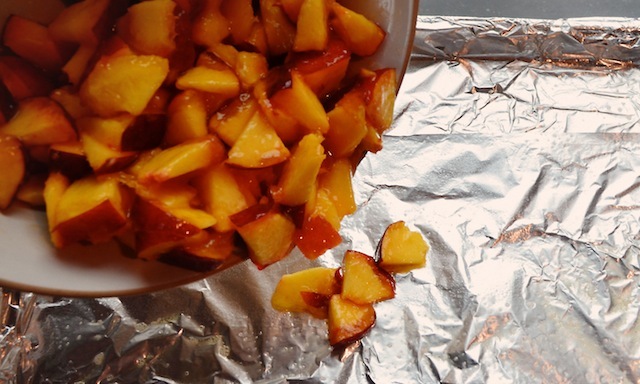 Transfer sheet to wire rack and let peaches cool to room temperature, about 30 minutes. Reduce oven temperature to 350 degrees. —Spray 9-inch spring-form pan with vegetable oil spray. 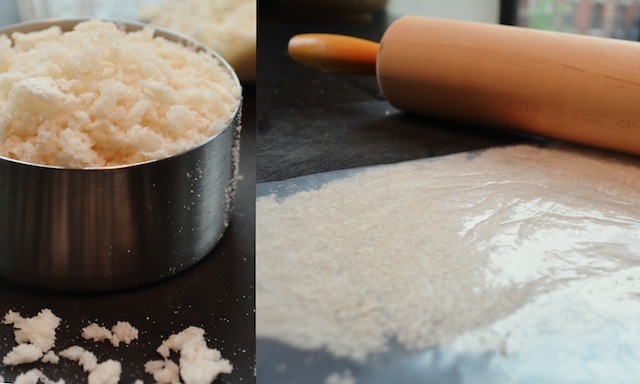 Whisk flour, baking powder, and salt together in bowl. Whisk brown sugar, 1/3 cup granulated sugar, and eggs together in second bowl until thick and homogeneous, about 45 seconds. Slowly whisk in butter until combined. 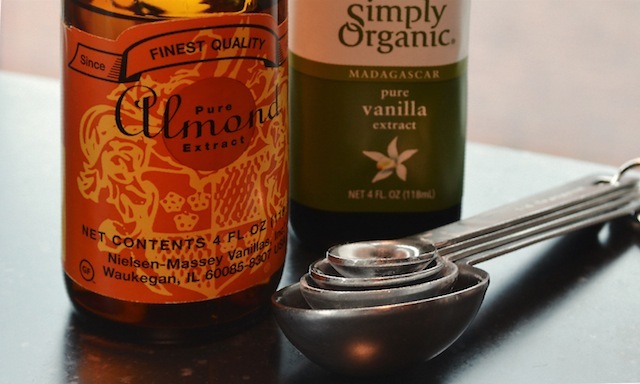 Add sour cream, vanilla, and ¼ teaspoon almond extract; whisk until combined. Add flour mixture and whisk until just combined. 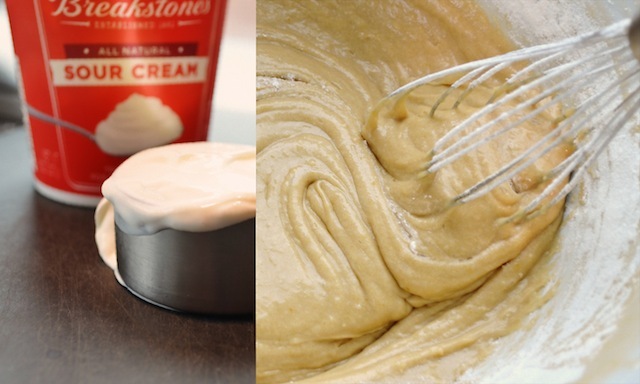 —Transfer half of batter to prepared pan; using offset spatula, spread batter evenly to pan edges and smooth surface. 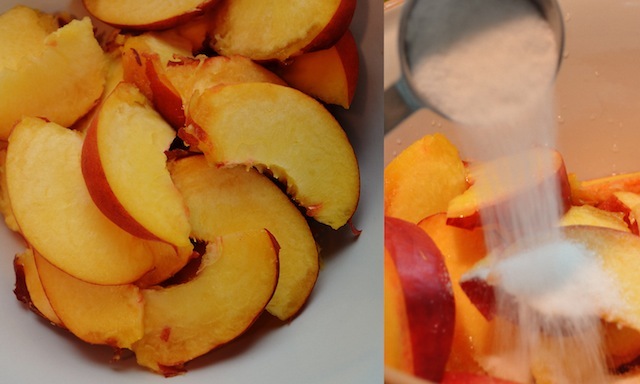 Sprinkle crushed breadcrumbs evenly over cooled peach chunks and gently toss to coat. 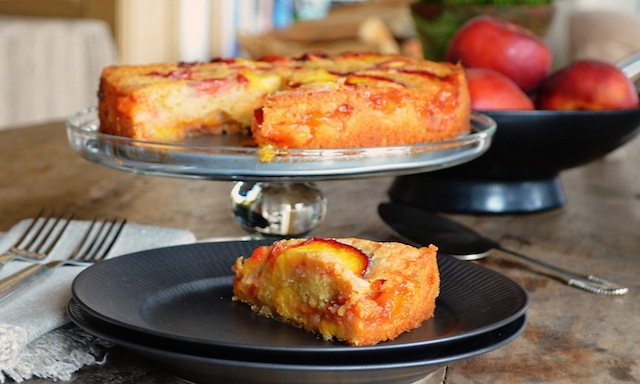 Arrange peach chunks on batter in even layer, gently pressing peaches into batter. 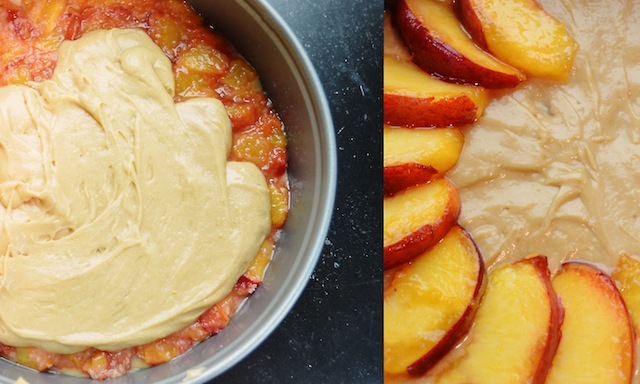 Gently spread remaining batter over peach chunks and smooth top. 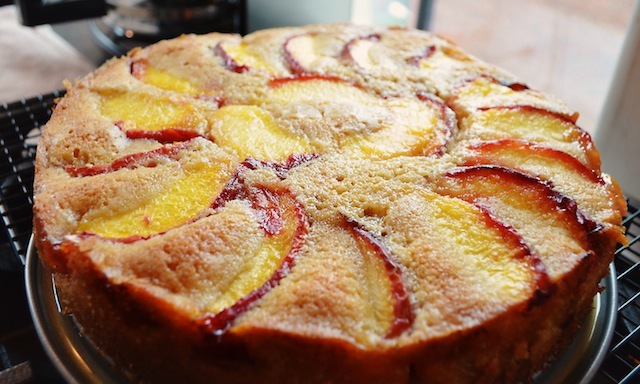 Arrange reserved peach wedges, slightly overlapped, in ring over surface of cake, placing smaller wedges in center. Stir together remaining 3 tablespoons granulated sugar and remaining 1/8 teaspoon almond extract in small bowl until sugar is moistened. Sprinkle sugar mixture evenly over top of cake. —Bake until center of cake is set and toothpick inserted in center comes out clean, 50 to 60 minutes. Transfer pan to wire rack; cool 5 minutes. Run paring knife around sides of cake to loosen. 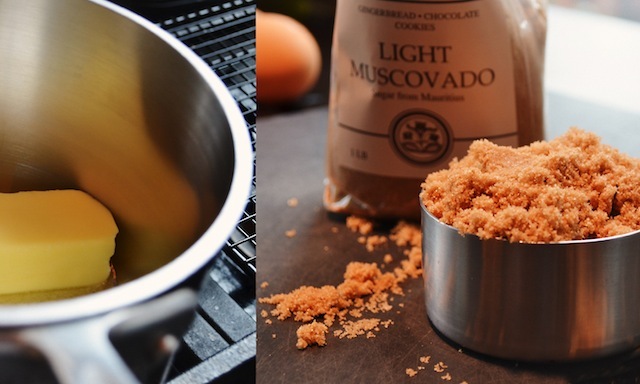 Remove cake from pan and let cool completely, 2 to 3 hours. Cut into wedges and serve. I love this posting -- the recipe, the photos, and especially how it's all intertwined with Lily's arrival! Can't wait to make this cake!! !